Mr. Kimball: "Hello Mr. Douglas, isn't it a beautiful day?" Mr. Douglas: "It certainly is!" Mr. Kimball: "It certainly is what?" -From the sitcom, "Green Acres"
1. What constantly flabbergasted character did Eddie Albert play in the 1960's sitcom, "Green Acres?" 2. What actor did Eddie Albert replace in the 1960 Broadway production of "The Music Man?" 3. 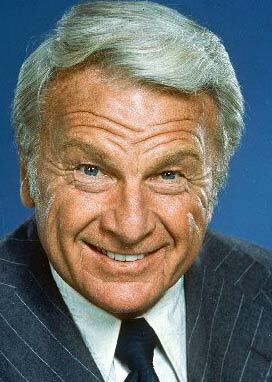 Eddie Albert's television career is the earliest of any other performer. In what year did Eddie appear in RCA/NBC's first private live performance for their radio licensees in New York City? 4. An avid environmentalist, Eddie Albert helped launch the very first "Earth Day" on April 22, 1970. What else was significant about that date for Eddie? 5. What was the name of Eddie Albert's wacky farm hand in the 1960's sitcom, "Green Acres?" 6. What military honor was bestowed upon Eddie Albert for rescuing 70 of his fellow Marines at the battle of Tarawa in 1943? 7. Who played Eddie Albert's beautiful but naive wife in the 1960's sitcom, "Green Acres?" 8. Eddie Albert was married only once, to Mexican actress Margo Albert. How many years were they married? 9. Speaking about "Green Acres" in 1965, Eddie Albert was quoted as saying, "the comedy is like Pickwick Papers, or Gulliver's Travels, or Voltaire. It's so far out that it becomes what?